Columbia, MO – The annual day of giving, Giving Tuesday, has wrapped up and the MidwayUSA Foundation has surpassed their previous Giving Tuesday efforts. On Tuesday, November 27, online donations rolled in to benefit the many youth shooting teams supported by the MidwayUSA Foundation to total $84,346. In addition, Larry and Brenda Potterfield generously added $100,000 in matching funds, bringing the Giving Tuesday donations to youth shooting teams to $184,346 for this one day. The $100,000 contributed by Larry and Brenda Potterfield added $1.185 on the dollar to every donation. For example, if a team received a $100 donation, the MidwayUSA Foundation added $118.50, bringing that total team endowment donation to $218.50. Over 160 shooting teams received donations on Giving Tuesday and these additional endowment dollars will grow the cash grant payout these teams are eligible to receive each year. Cash grants allow teams to cover expenses like ammunition, entry fees, targets, uniforms and more. GivingTuesday occurs every year after Black Friday and Cyber Monday and is the kickoff to the giving season. The MidwayUSA Foundation continues to offer a match on every donation to youth shooting teams. For the remainder of 2018, there is $60,000 in monthly matching funds and the ratio of the match will depend on the total contribution dollars for that month. Donors can give directly to the team of their choice through the Foundation website (midwayusafoundation.org/donate) from anywhere in the country. Approximately 3,000 youth shooting teams have their own earmarked MidwayUSA Foundation Team Endowment that can receive donations. Donors will receive a tax receipt and 100% of the donation benefits the team of their choice, the Foundation keeps nothing for operational expenses. The MidwayUSA Foundation is a 501(c)(3) public charity working to sustain the shooting sports industry by providing long-term funding to youth shooting teams. Every donation made is tax deductible and supports the mission to help communities and organizations raise funds to support their youth shooting team. The Foundation supports all shooting disciplines. 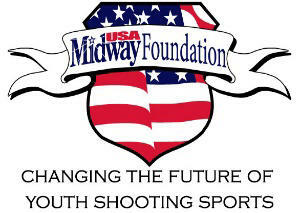 For more information about how the MidwayUSA Foundation is changing the future of youth shooting sports, please visit midwayusafoundation.org or call 1-877-375-4570.